When it comes to defining your style, there are as many possibilities as there are people. However, knowing which interior design styles most closely align with your interests and tastes can be very useful when communicating with your interior designer and other members of your remodeling team. Today, let’s take a look at a style that combines elegant, familiar hallmarks you may recognize from traditional design, along with flights of fancy influenced by literary greats like Jules Verne, Mary Shelley, and H.G. Wells: Steampunk! What started out as a subgenre of science fiction has made its way into the wider culture, influencing everything from fashion to interior design. The steampunk aesthetic channels Victorian design and steam-age technology, along with a bit of whimsy and a nod to rugged industrial style. 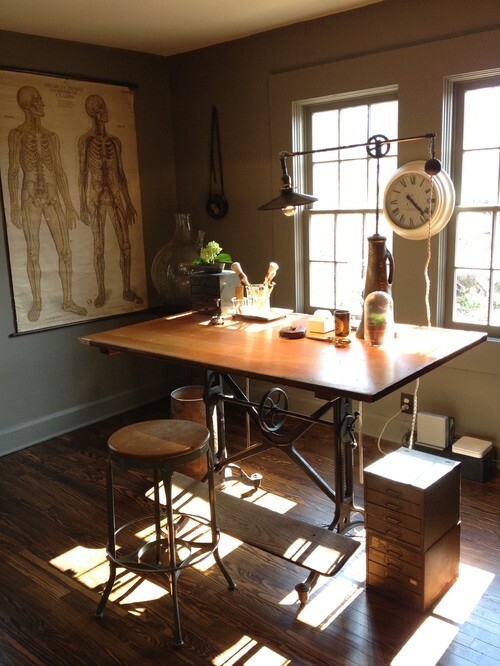 Following are some of the basic elements that help to communicate steampunk style in interior design. Fanciful clockwork or steam contraptions are a hallmark of steampunk media, and they can transition right into your home decor as well. 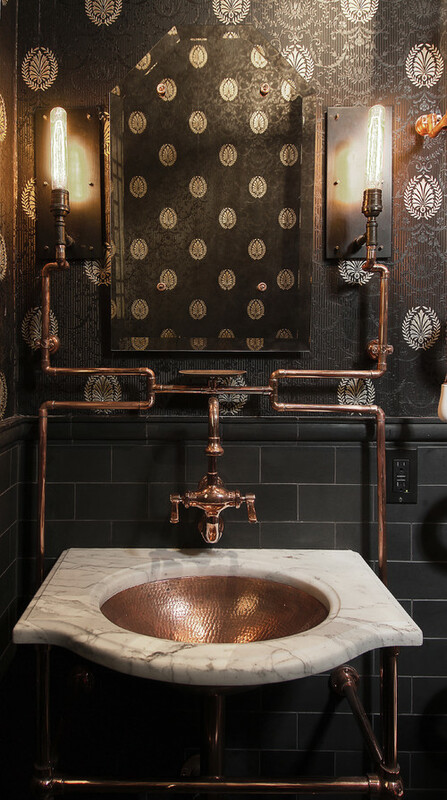 Exposed mechanical workings, industrial relics, and the like add interest to your decor and signal that you are not simply trying to recreate Victorian interior design. Take for example the custom steampunk table we collaborated on for a client in Get in Gear. Multiple faux finish techniques were used to create the illusion of cast iron and brass. Steampunk style usually incorporates muted and/or neutral colors- think brown, ivory, gray, black- but can also incorporate bolder hues like garnet, deep green, or navy blue. 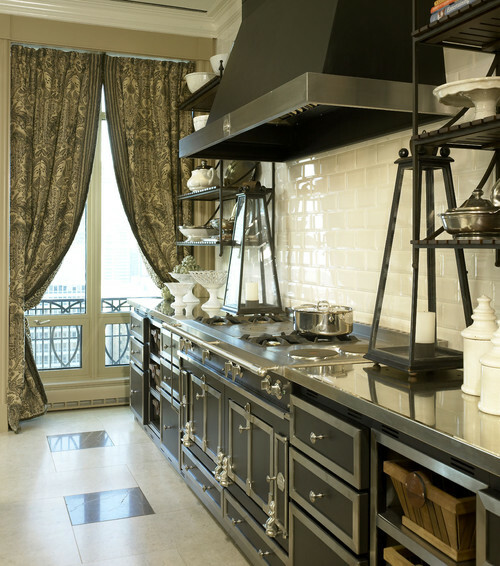 Limiting the color palette of your Steampunk decor can help accentuate the diverse textures and materials in the space. Victorian (or Victorian-inspired) antiques are a natural fit for Steampunk home decor. If you’ve ever looked closely at Victorian furnishings or home goods, they usually display impressive attention to detail and embellishment, which is definitely an inspiration for Steampunk style. In addition to furnishings, consider adding industrial relics, architectural salvage, and other quirky finds to enhance the sense of whimsy, mystery, and adventure. 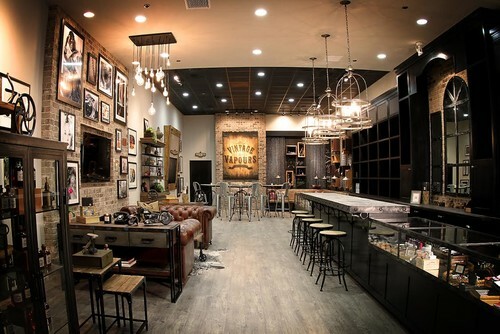 Industrial Home Bar by Los Angeles Interior Designers & Decorators Rejoy Interiors, Inc.
Leather is an integral part of both Steampunk fashion and interior design. Lounge on a leather Chesterfield sofa in the living room or incorporate leather drawer pulls in the kitchen. Trunks and luggage are another great way to include leather (or artificial leather) and can be used as a coffee table, side table, or simply as accessories. Since Steampunk style is inspired by the Victorian era, it only makes sense that ornate patterns would play a role. This is where decorative painting can be used to perfect your space with custom stenciling in damask or stylized botanical motifs. 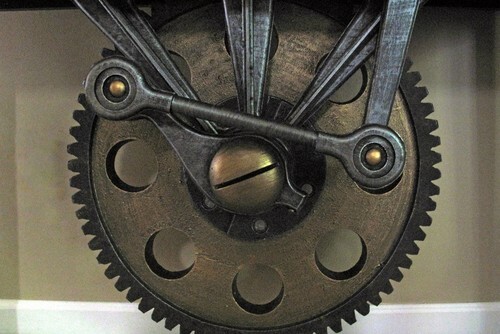 Of course, Steampunk design is not just Victorian recreation. It generally has a bit of an industrial edge to it, incorporating rugged materials like weathered metal and rustic wood. Think patinaed copper, reclaimed wood and the like. Faux finishes can be used to add visual interest to a space; weathering wood, adding character to architectural features, giving certain elements the appearance of other materials or an artistic touch of grunge. Have you ever heard of Steampunk style? We’d love to hear your thoughts in the comments!